As the Peoples Democratic Party (PDP) prepares for its national convention, to elect national officers on December 9, 2017, Governor Henry Seriake Dickson of Bayelsa State, has warned against imposition of candidates on the party. Governor Dickson in a press statement signed by his Chief Press Secretary, Francis Ottah Agbo, said the next convention was critical to the survival of the PDP. The statement added that the Governor was totally against imposition of candidates for positions at the convention and calls on PDP leaders and delegates to make sacrifices for the unity of the party. He stressed that in cases where party stakeholders/delegates are unable to reach a consensus on any position, the party should allow all aspirants who have bought nomination forms to test their popularity on the convention ground. The Governor noted that it was by creating a level-playing field for all aspirants in a transparent convention that the PDP would be stronger and more cohesive. 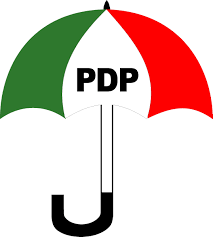 Governor Dickson, a former Chairman of the PDP Reconciliation Committee, warned that the Convention should not be conducted in a manner that could plunge the party into fresh crisis. He wants leaders of the party to avoid the temptation of taking over the place of the convention and the rights of the delegates to choose leaders for the Party. He said, “The next convention is critical to the survival of the party. My position is that the party should organize an all-inclusive, transparent, acceptable, and credible convention that would rebrand the PDP and show our platform as a truly democratic party. “Therefore I am against all forms of manipulations, intimidations, blackmail and imposition of candidates. For me, there should be no imposition at all. “I will not be a party to the adoption of anybody for any office unless it is by consensus of the zone in which the position has been zoned to. If there is more than one contestant for a position, they should be given the opportunity to test their popularity at the convention. “A leader, no matter how highly placed should not take the place of the Convention and the powers of the delegates to the convention. He said the PDP must understand that Nigerians see the forthcoming National Convention as an opportunity that will usher in a rebranded and united PDP, which Nigerians will be happy to embrace in 2019. While noting that the PDP can regain its glory, Governor Dickson said the December Convention is a precursor to the Presidential primary, stressing that if the PDP gets its national convention right, it is likely to hold a successful Presidential Primary in 2018.